Undergraduate Courses | Welcome to the VOSON Lab! 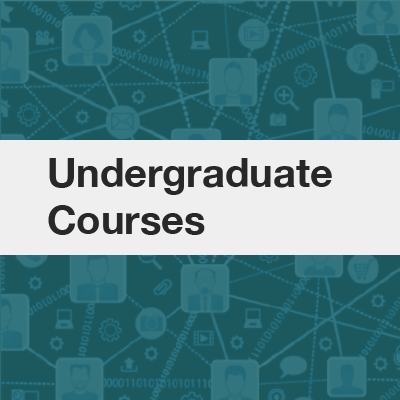 In 2018, there are two courses offered for undergraduate students. Social Science of the Internet (Semester 1, 2018) equips students with the theory and methods for understanding the social, political and economic impact of the Internet. Students will also learn how digital methods and big data are being used to answer long-standing questions in social science. Online Research Methods (Semester 2, 2018) covers unobtrusive/non-reactive methods involving socially-generated digital trace data (networks and text) from sources such as websites, social networking sites such as Facebook and microblogs such as Twitter. SOCY2166 Social Science of the Internet undergraduate course, School of Sociology. Overview, learning outcomes, assessment, workload and more! SOCY2169 Online Research Methods undergraduate course, School of Sociology. Contact A/Professor Robert Ackland (course convenor) for more information.